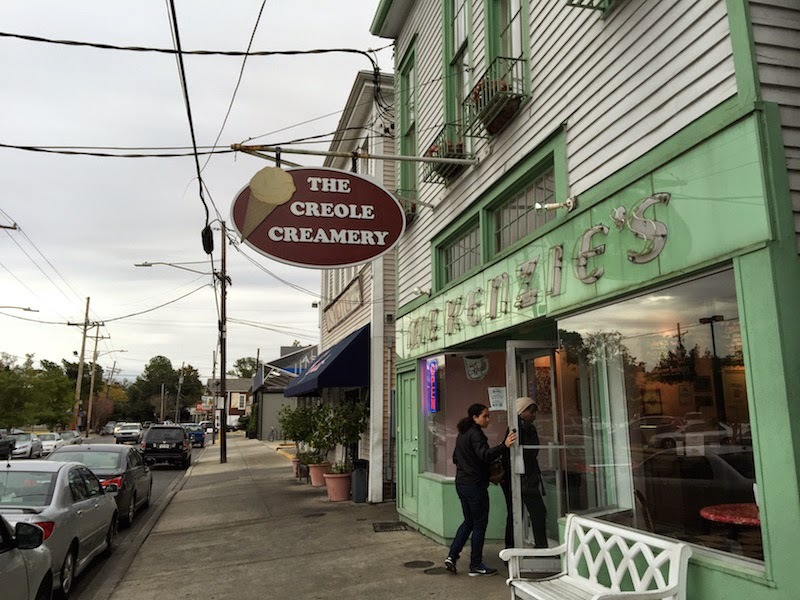 Creole Creamery is in Uptown in New Orleans, not too far from Tulane University. 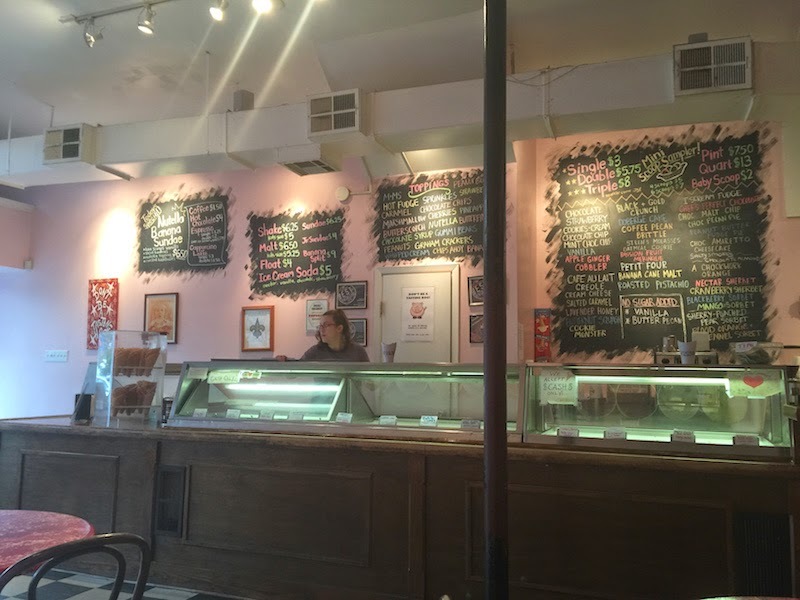 We needed a snack after our streetcar trip to Tulane University, so we hopped off and took a short walk over to The Creole Creamery in the Uptown district of New Orleans. 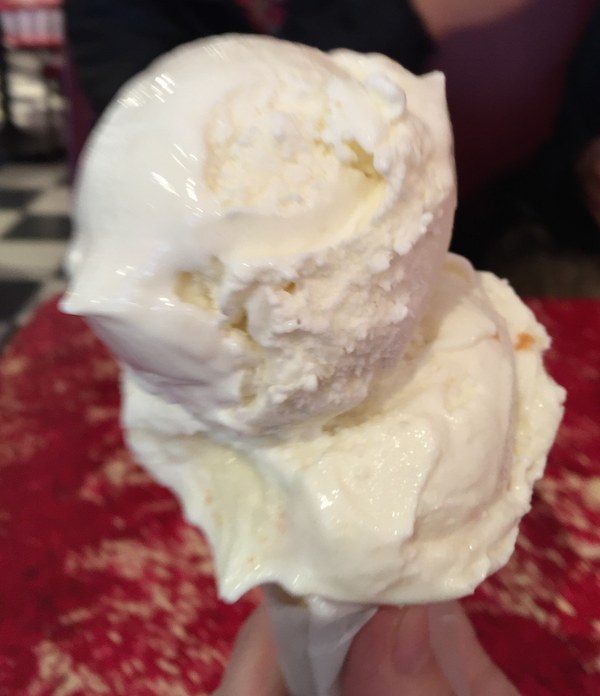 Creole Creamery is friendly neighborhood ice cream parlor with lots flavors to choose from. We tried the Petit Four and Cafe Au Lait. Both were creamy, fresh, and full of flavor. We got one in a cup and one in a waffle cone. We'll definitely make another visit to the Creole Creamery! I found out about The Creole Creamery on the Brain Freeze episode of Diners, Drive-Ins, and Dives.